We were asked by a Bish Bash Bosh, the Cornish production company, to create a poster for their latest play. 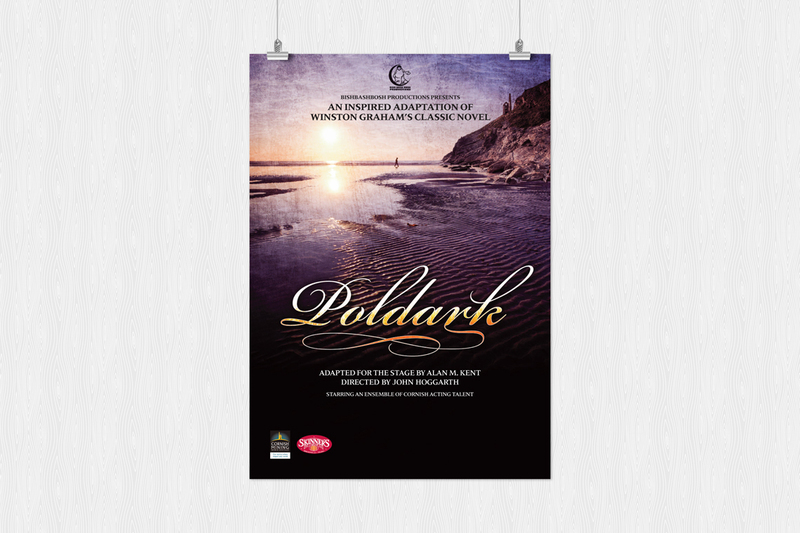 Based on Winston Graham’s famous novels of the same name, Poldark is a saga set in Cornwall during the 18th century and 19th Century. To convey the quintessential Cornish nature of the play, the design includes an image of an iconic tin mine in a typical coastal setting. The calligraphic logotype was created and set against a dramatic and hyperreal Cornish landscape to give the poster a sense of the historical whilst retaining a modern design aesthetic. The lone silhouetted figure represents the eponymous lead character.